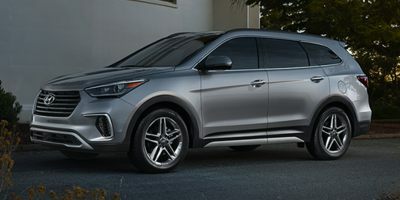 The 2019 Hyundai Santa Fe XL is a 7 passenger Automatic transmission, 2 Wheel Drive Sport Utility Vehicles or 4x4 Sport Utility Vehicles. It is available in 2 trim packages, the Limited Ultimate, and SE. The new Hyundai Santa Fe XL invoice price ranges from $29,477 to $38,875, while MSRP ranges from $30,950 to $41,400. The 2019 Hyundai Santa Fe XL is available in 8 exterior colors, Becketts Black, Circuit Silver, Iron Frost, Java Espresso, Monaco White, Night Sky Pearl, Regal Red Pearl, and Storm Blue, and 3 interior colors, Beige, Black, and Gray.